The sharing of information and ideas is of the utmost importance and is a central piece in the philosophy of the Learning Commons. Today, very few ideas can be claimed as absolutely original and our world is full of various iterations and redesigned versions of previous ideas. In this information age, we have begun to “tweak”, “edit” and “revise” the ideas of others to improve, repurpose or reinvent. This sharing takes on many forms. We exchange ideas via social media, and on the internet at large. The Learning Commons is a place that fosters this sharing activity and encourages innovation and design. In the Learning Commons, we seek to facilitate the exchange and reinvention of ideas and to share the new information in as many ways and with as many people as possible, utilizing a variety of different mediums and digital tools. This sharing extends beyond the classroom, or the walls of the school and seeks to incorporate many diverse types of learners from all over the world. It moves to leverage a variety of different experiences and perspectives, thus opening up the process of learning within the world. 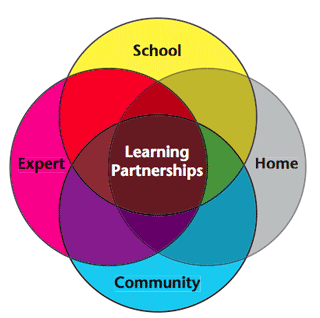 The sharing and learning opportunities created within the Learning Commons include all members of the school community, as well as parents and community partners.